A book about molecules, and a chance to touch, stretch and twist them! 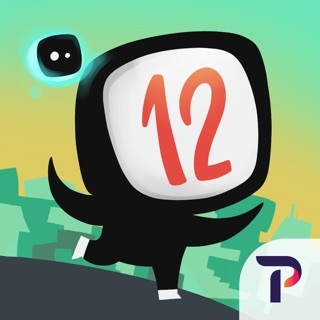 Molecules by Theodore Gray is the extraordinary sequel to The Elements, the bestselling book and app. It continues the story of the elements to show how they are assembled into the rich diversity of compounds, chemicals, molecules, rocks, and stuff that make up our world. 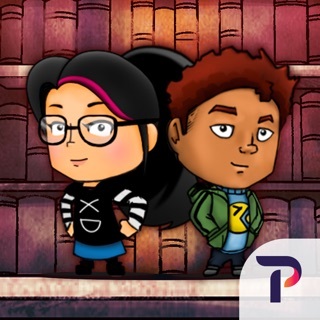 The app includes an important world first: a touch-interactive molecular dynamics simulation that lets you poke and prod hundreds of different molecules, seeing how each one reacts to your touch. Molecules are not static things – they twist, turn, vibrate, and spin in an elaborate and beautiful dance of quantum mechanics. 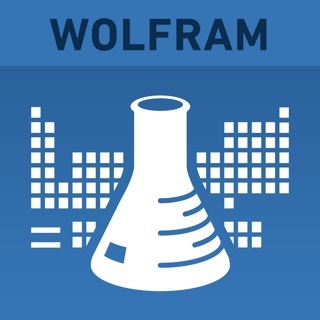 The app incorporates the NAMD simulation engine developed by the Theoretical and Computational Biophysics Group at the University of Illinois. These are serious, scientifically accurate simulations. A few minutes playing with them will give you a deeper intuition about the true nature of molecules than years of study on paper. And while they are serious science, they are also a whole lot of fun to play with! 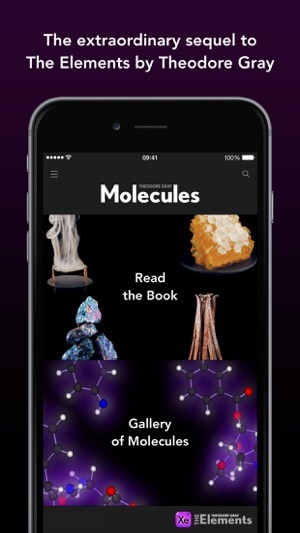 In addition to the amazing wiggling molecules, the app contains the entire book of Molecules, with all the objects interactively rotatable so you can see them from all sides. 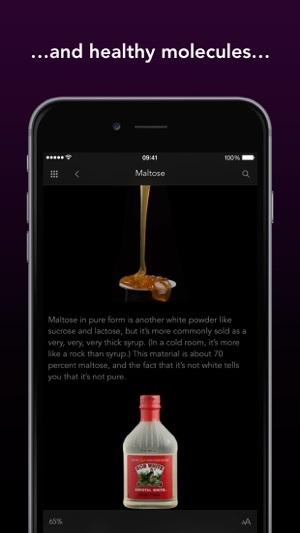 Going further than The Elements, the app includes dozens of innovative and intriguing “still life videos” that reveal the true nature of substances through close-up interactive video. If you like Molecules by Theodore Gray, don’t forget to rate it and leave a review. New iPad Pro support added. Explore the building blocks of our world up close with gorgeous interactive images and videos that bring molecules to life. 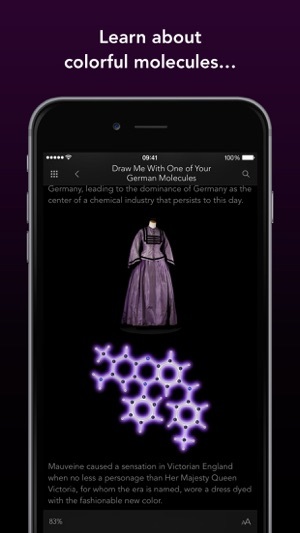 Read fascinating details about the particles that form everything from your clothes to your food—then manipulate and modify them in real-time simulated environments. 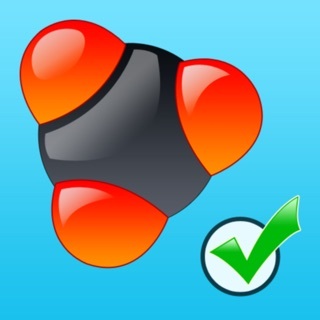 Perfect for students and science lovers, Touch Press’ stunning app makes chemistry exciting. Fantastic book, stuck in English-speaking community. That's the closest to "periodic table" of molecules. Actually this is a textbook, that covers the distance between chemistry and substances we see, use and depend on everyday. You can get more insights to the lower structure of world we are living in, both natural and urban. Please, use my money to translate Molecules into other languages. 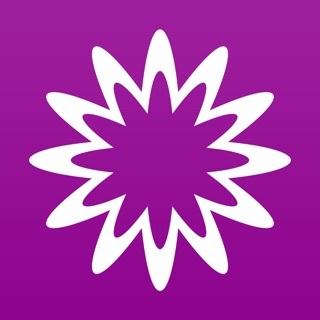 I was tempted to give 4 stars because it has no Russian translation, but your Elements app has good Russian. So I have some faith you are working on it. 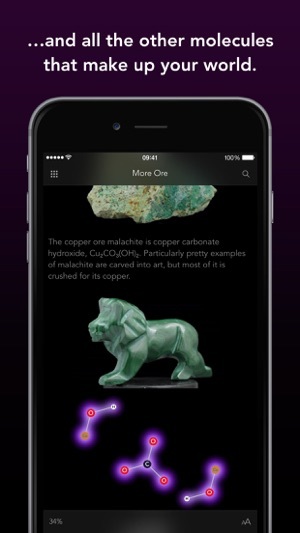 Apps like this one cover the last mile of scientific treasures delivery, contributes to the human culture and advance the whole world towards the better place to live in. 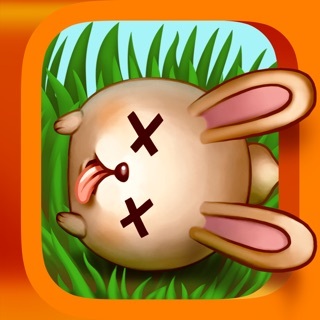 Everyone should buy Elements and Molecules, but developers must make the first step over language barrier. This is an absolutely amazing book, well written, beautifully illustrated, and very engaging. It is a perfect example of what a book can be on an iOS device. There is one very irritating issue, that needs to be fixed: the app completely resets itself whenever I leave it or switch to another app. When I return I have to open the chapter again and scroll to my last position. That is very common because I flip over to Wikipedia a lot to explore some topics in more detail.